Music has been used as a mood altering intervention for thousands of years. There are numerous examples of the healing powers of music in the historical records of different cultures. In the last few decades, investigators have developed a more scientific approach to exploring the mechanisms by which music exerts its effects on the brain and other organs. Music interventions are now being used in medicine and nursing throughout the world, and “music therapy” has become an accepted discipline alongside other paramedical professions. This book is a timely and comprehensive review of the use of music as a complementary therapy, and for management of some “otherwise difficult to treat” conditions. The authors, each experts in their chosen field of medicine, have come together to compile an excellent, clear and precise update regarding the use of music therapy in different illnesses and neuropsychiatric conditions. This book contains information useful to psychologists, psychiatrists and physicians involved in primary care in other branches of medicine, as well as health science students and other health professionals interested in music as a complementary and alternative therapy (CAM). 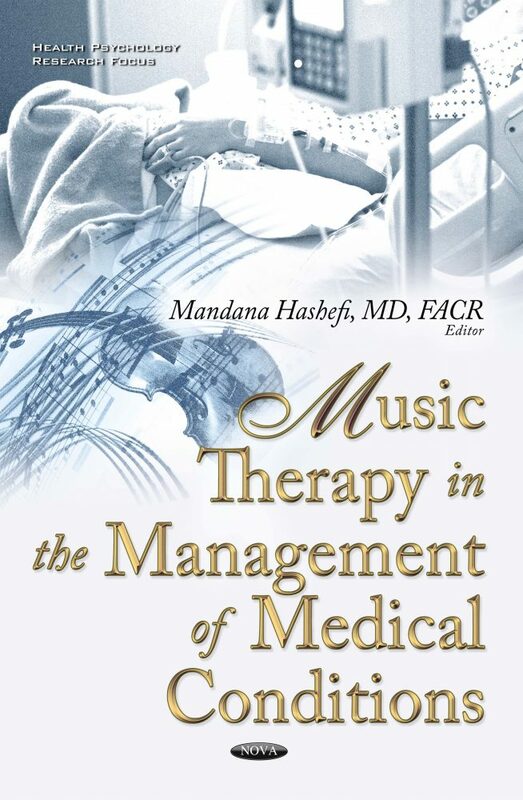 This book adds music as a potent, enlightening, and life-enriching addition to our armamentarium for the management of complex medical conditions. The content of some chapters may foster more ideas for future research. Throughout the book, there is an emphasis on the greater need for large, blinded, controlled studies to better support music therapy.